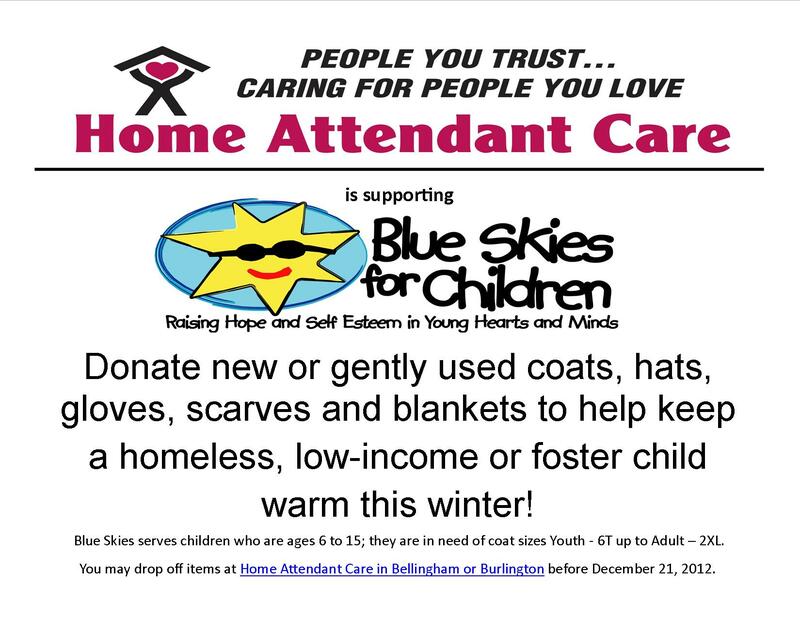 Join Home Attendant Care in supporting Blue Skies for Children, a nonprofit group that helps homeless, low-income and foster children in both Whatcom and Skagit Counties. Our Bellingham and Burlington offices are serving as drop-off locations for any new or gently used outerwear you would like to donate. Any gift you can spare would be greatly appreciated by children in our local communities. This entry was posted in Home Attendant Care News and tagged Blue Skies for Children. Bookmark the permalink.